Terry's Singapore has been replaced by La Taperia. 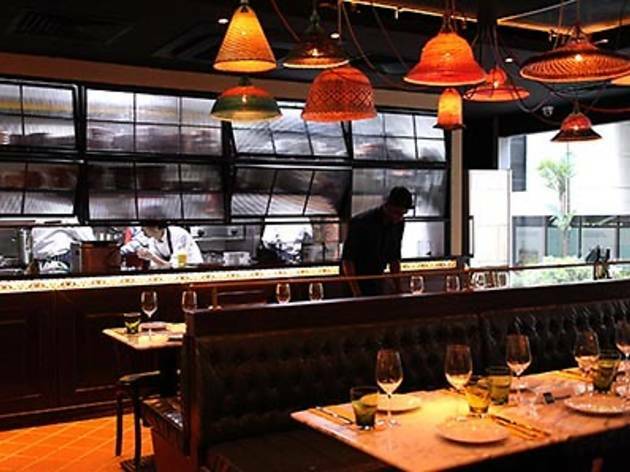 Looking eastwards for its new restaurant concept, the Les Amis Group works with Manila-based Spanish chef Juan Carlos de Terry to import his Spanish fare to Singapore with Terry’s in Shaw Centre. 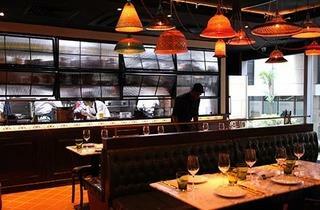 The restaurant, opened in early October, bears an understated kind of casual cool. Its 50 seats are sectioned off into little nooks, and vibrant Spanish posters and spirited Spanish tunes enliven the palette of moody browns and mossy greens. An outdoor terrace overlooks the quiet Claymore Road – where tapas ($12-$55), Oloroso cask-aged Glendronach whisky and Spanish wines can be enjoyed alfresco – and an eight-seater private space has been sectioned off for larger groups of diners to reserve. The best seats in the house, though, are no doubt the banquettes by the semi-open kitchen, lit by colourful PET bottles and weaved straw by the Eperara-Siapidara people in Colombia. The kitchen sits behind textured matte swivel windows, obscuring all save for the hands of kitchen heads Ng Han Wei, formerly of Au Jardin, and Dalton Fong, previously with Bistro Du Vin, and their team. The pair, with the blessing of Terry, will turn out three- ($35) and four-course ($50) lunches with dishes like stuffed and breaded pork loin escalope, and sizzling gambas al ajillo on offer. An eight-course tasting ($85) is also available for dinner alongside a small menu of à la carte options, with highlights like suckling pig croquettas and Terry’s signature Angus striploin cooked in oyster sauce.